1) Totally variable costs – this means a cost which is incurred only when a product/service is created. This often means only material costs. Labour costs are not totally variable, as employees are typically paid regardless. Some transportation or subcontracting costs may be totally variable. All overhead costs are not totally variable. 2) Throughput – this refers to revenue less totally variable costs. Contribution using throughput accounting is likely to be higher. associated with the passage of time than with products. 4) Net profit – in throughput accounting, the net profit is simply throughput minus operating expenses. 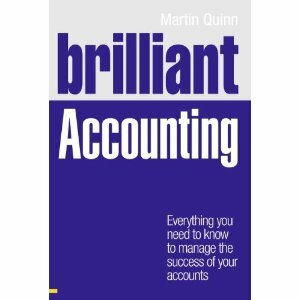 Looking at 1-4 above, you can see no attempt is made to allocate any overhead cost, so throughput accounting does not meet normal GAAP requirements. It does however raise the possibility of selling products/services at a price which is lower than under normal cost accounting, and it may also be useful for short-term decision making. 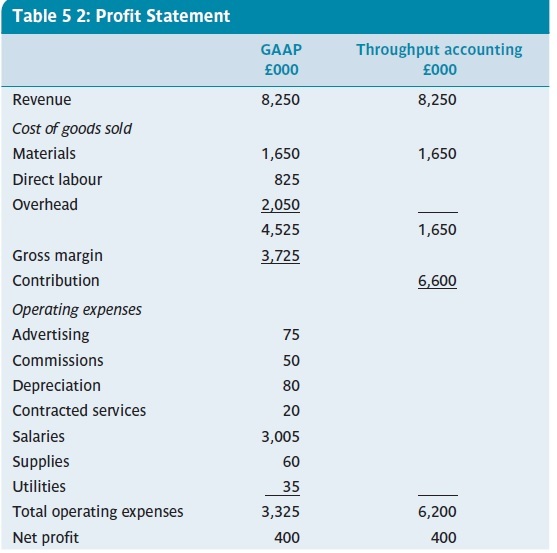 Below is an example of a profit statements from Burns et al (2013. p. 112), which shows how throughput accounting produces a differing view on costing. The overall net profit figure is exactly the same, but you can see a much bigger contribution under the throughput method. Arguably, as only material costs (in this example) are totally variable, a report such as the one above is very useful for short term decision-making.